Getting rave reviews by national publishers and bonsai enthusiasts, this long awaited book was recently called one of the most important (and beautiful) bonsai books ever published. The photography and the sensitivity to the subject combine to present the life story of Dan Robinson, bonsai artist and master, who provides an intimate insight into the art of collecting, growing and styling bonsai. Dan’s approach is celebrated and controversial. He takes what could be a craft and elevates it to an art form. Sculpture. A bonsai pioneer is who Dan is. "The Picasso of Bonsai" defines what he does. This high quality hardcover will be one of your most prized and studied bonsai possessions. 10 ½” x 9 ½” 292 pages with dust jacket. Please contact us at 360-373-8260 for other international shipping arrangements. Thank you . Import duties, taxes and charges are not included in the item price or shipping charges. If you would like to order more than one book at a time or you find that your location is not listed as an available delivery area, please contact Elandan Gardens by calling 360-373-8260, Tuesday-Sunday, 10am-5pm Pacific Time, or email us at elandangardensbonsai@gmail.com. Thank you. Contact us to order your signed copy. The National Arboretum acquired this Western Yellow Pine (Pinus ponderosa), from DAn Robinson in 1980. 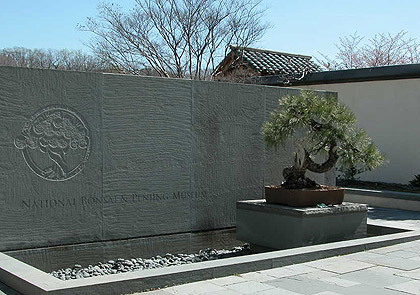 It was the first tree collected in America to be added to the National Bonsai & Penjing Museum.